In Japan, demands for broadband Internet access and IP telephony have increased dramatically in recent years. According to official sources, as of September 2009, there are 30.9 million users of broadband Internet access and 20.9 million of IP telephony. This study evaluates and estimates the market share of fiber-optic Internet connection, which is becoming the major player in broadband services, paying specific attention to IP telephony. A comprehensive combined choice model of Internet access line, IP telephony, and awareness of IP telephony is presented. The most suitable parameters for the model were determined by using an original market research survey conducted in Japan during 2004 with stated-preference choice experiments of both Internet access and IP telephony. The results indicate that increasing awareness has the potential to dramatically increase the penetration of IP telephony. The results also indicate a great variability in price sensitivity across income groups for the choices of Internet access line and IP telephony. The fiber optic share is shown to change with a change in its own monthly usage charge, indicating that market share gains are possible through reduced usage fees. According to a press release by the Japan Ministry of Internal Affairs and Communications (September 2009), as of June 2009, the number of broadband subscribers reached 30.9 million and is continuing to steadily increase. Figure 1 shows the diffusion of broadband services in Japan. The same source indicates that a large proportion of non-fiber optic users are planning to switch to fiber optic within the next few years. In the early stages of IP telephony, the service was mostly provided by Internet service providers (ISPs) and only for voice communication. Most IP telephony customers used it together with Plain Old Telephone Service (POTS) because IP telephony could not be used to call specific numbers, such as an emergency number. Moreover, the quality of IP Telephony based on DSL was worse than that of POTS because it was a price-oriented service and there were still many users who remained unaware of IP telephony in 2004. 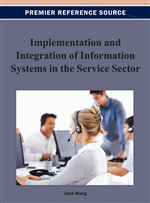 The emergence of broadband services enabled improvement in the speed and quality of IP telephony. In 2002, IP telephony started to provide about the same speed and quality of service as POTS by use of the fiber-optic Internet connections provided by network carriers. Even now, IP Telephony service in Japan is divided into two types, the IP telephony based on DSL and based on fiber optic. Since the network carrier can provide IP Telephony service with high quality by using fiber optic, telephone numbers of portability services for IP telephony with fiber optic began to be offered, and IP telephony with fiber optic became cheaper than POTS in 2005. The Ministry of Internal Affairs and Communications (August 2009) has announced that as of June 2009, there are 20.9 million IP phones in use and that this number is growing at a quarterly rate of 3% (Figure 2). While, the number of POTS subscribers is 46.3 million in June 2009. We see that the number of subscribers of POTS has dramatically decreasing (Figure 3). Considering that the number of household of Japan is about 50 million, the users select IP Telephony in addition to POTS or select IP Telephony without POTS. The number of users who cancel POTS and use only IP telephony is increasing in conjunction with the increase in the number of fiber optic users as awareness increases. It is indisputable that the number of users of broadband services has increased as use of IP telephony increases. The demand for broadband services is strongly related with the demand for and awareness of IP telephony. Therefore, a modeling of choice of Internet access line that considers IP telephony and awareness of it should be required for demand analysis.